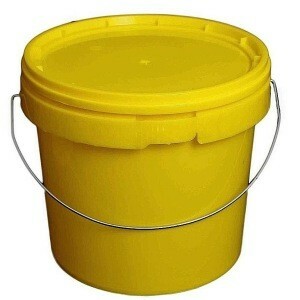 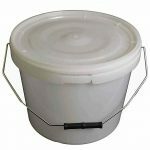 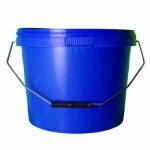 5 litre yellow plastic bucket, comes with push down tamper evident plastic lid and metal handle. 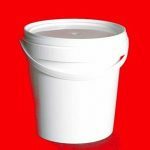 Brightly coloured plastic containers are ideal for keeping products and processes separate. Striking yellow is ideal for sensitive products like food items or sanitary products. 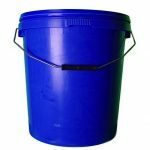 Manufactured from food-grade poltpropylene (PP).